This is a nice little widget which can find its place in your blog’s sidebar.You might want to let your readers link back to you in an easy way.We will now make a new Link To Me Widget which will display the code needed for a reader to link back to your blog.We will also provide a Add link using Blogger Button. This button will work like a widget installer,which makes it easier for your readers to add your link.They can link back to you easily by adding your link to me widget. How to make the Link to me Widget? 6.Replace all occurrences of Your_Blog_URL with the url of your blog. 7.Replace all occurrences of Url_of_a_Small_logo_of_your_blog with the url of the logo that you uploaded. 8.Now your code is Ready!! 9.Copy out the modified code from your text editor. 12.In that widget paste the modified Code and Save. With Slight Modifications to the code,you can change this to a text link instead of an image link. i realy like this tutorial. Thank.... i was installed it into my blog. is possible to.. skip the step.. choose blog. i need help from u.. thank you..
u may want to add target="mynewwin" in form tag. In order to submit form in new window without leaving current page.. Thanks this is a great help.But i want a text code intead of an image code.What do i need to change in these codes.Once again,thanks. that is the 10th line and 19th line in the code provided..
Hi, can I see a preview of this widget? klo how we are sharing ?????????????? thanks alot for sharing this nice tip with us..
good widget. Thank you so much. Great tip will add this to my blog. THANKS!!! will try this on my blog soon. how to edit size the form? hi..good widget..i have to try.. Thanks for the ideia, but is not working well. Can you solve this? For the person who links to me is asking codes. Check here please. How do you provide a widget to someone else with anchor text, creating a link back to you? Do you just do the same thing? Thnx bro! It looks cool in my blog. U can visit my blog too for latest and some of the best online jobs. Do follow if u like it or u can give any feedbacks. 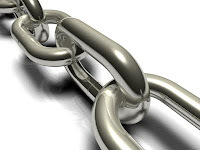 Great widget for blogger backlink, thanks for sharing.. This was a life saver... clearly trying to build this HTML on my own was a total failure! Right click and copy paste on my blog is disable. Then, how people will copy the code? Great Post, Thank for share. Great......but dear fren when i clicked to add to blogger it replys me "Woops that's an error" and error code is "bX-yalh9k"